A fellow Time Lord turned rival, the Master is the arch-nemesis of the Doctor on the BBC series Doctor Who. Although the two were friends growing up on their home planet, the Master desired power while the Doctor sought adventure and service. Occasionally the two unite as allies, but always break away as enemies once again. 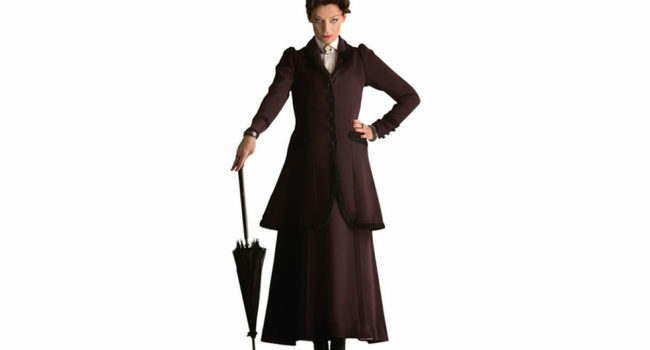 This guide covers the latest incarnation of the Master, nicknamed Missy (Michelle Gomez), encountered primarily by the 12th Doctor. For the hat, buy a plain black one and glue on a few fake flowers and berries. 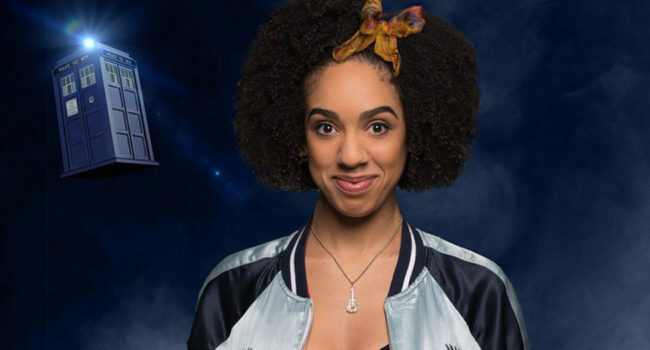 A companion of the 12th Doctor on the BBC TV series Doctor Who, Bill Potts (Pearl Mackie) begins as a student of the Doctor before learning his time-traveling secret. After she agrees to travel with him and his other companion Nardole, she sets out on a series of adventures. Fans love her as a smart, lovable, down-to-earth, sassy woman and the first lesbian portrayed on the show. The endearing, cowardly Nardole (Matt Lucas) was a brief companion of the 12th Doctor on the BBC TV series Doctor Who. Originally an employee of the Doctor’s wife, River Song, Nardole lost his head in an attempt to discover River’s whereabouts but was reassembled by the Doctor. The two joined forces for a short while, and then Nardole made a courageous decision that lead him down a different path. Nardole dresses in a distinctive, goofy outfit of burnt orange coat, beanie and glasses. Originally a Viking child encountered by the 12th Doctor on the BBC series Doctor Who, Ashildr (Maisie Williams) became immortal after the Doctor resurrected her from death. She took advantage of her immortality, traveling the world and assuming many aliases – so many that she eventually took the simple name “Me”. She lives to the end of time and then, due to the wonderfully pliable time laws of Doctor Who, encounters the Doctor once again. This is for her outfit in the episode ‘Face the Raven’, when she is mayor of a London town inhabited by aliens. For the tattoos, use body paint or a handy eyeliner pencil. The wife of the Doctor and daughter of Amy Pond and Rory Williams, River Song (Alex Kingston) has an illustrious parentage on the BBC series Doctor Who. She first appears as the wife of the 11th Doctor, but because of her warped time line and supernatural abilities due to TARDIS DNA within her she makes multiple appearances across seasons. Professionally she is a Professor of Archaeology, but most of the time she is either seeking out the Doctor or being forced to harm him by his enemies. To capture her image, go for a long tunic with black leggings, wild hair and an infectiously cheerful personality. Clara Oswald (Jenna Coleman) acts as the companion to the 11th and 12th Doctors on the smash BBC TV series Doctor Who. She is a beautiful, mysterious character with multiple incarnations, including a Dalek. After she joins up with the 12th Doctor she decides to become a school teacher and proceeds to fall in love. Unfortunately, she begins to become increasingly reckless, which leads to unexpected outcomes. This guide covers her fan-favorite red outfit with high tops and a funky utility belt. The titular character on the BBC hit TV series Doctor Who is the last of the Time Lords, a race capable of time travel and regeneration. The Doctor has regenerated its body 13 times, and for the first time it its history it regenerates as a woman (Jodie Whittaker) for its 13th life. She travels the space-time continuum with her companions Graham, Yasmin and Ryan. This guide covers the 13th Doctor’s first iconic – and eccentric – look of suspenders, cropped pants, rainbow shirt and coat. The Fourth Doctor (Tom Baker) is the most tenured and iconic Doctor Who, lasting seven seasons before his transformation. He’s instantly recognizable by his curly brown hair, eyes that constantly boggle, and of course his impractically long multi-colored scarf.